A luxury home community located in western Central Texas, between Liberty Hill and Georgetown, Beltorre offers the adventure and relaxation of refined Hill Country living. Beltorre is a carefully crafted community set on 106 park-like acres of pristine Texas Hill Country real estate. 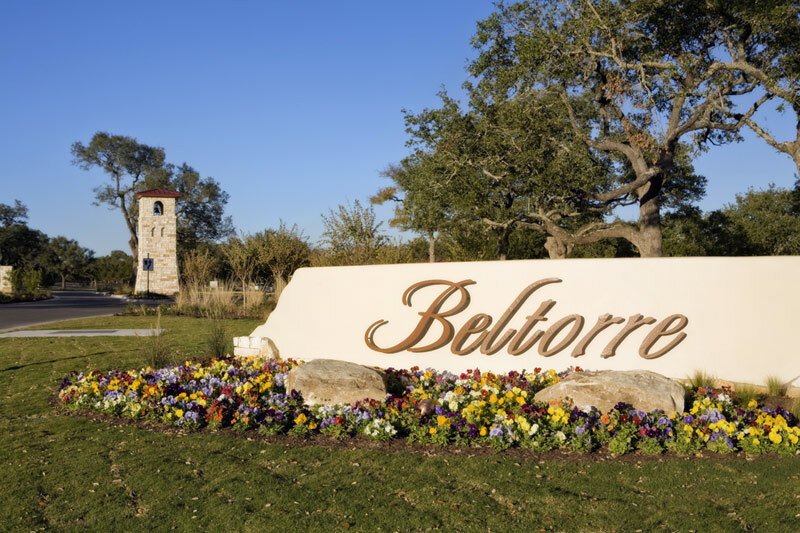 ‘Beltorre’ is an English-Spanish amalgam for ‘bell tower’ and the design of this community is reminiscent of the old Spanish missions which have played such a pivotal part of Texas’ history. The development features one-acre home sites beginning in the $70’s, homes starting in the mid $390’s and quintessential landscape featuring Russell Creek and a multitude of mature live oak and pecan trees. Homes are priced from $500,000 to $800,000. Homes sizes range from 2,500 square feet to over 4,000 square feet.